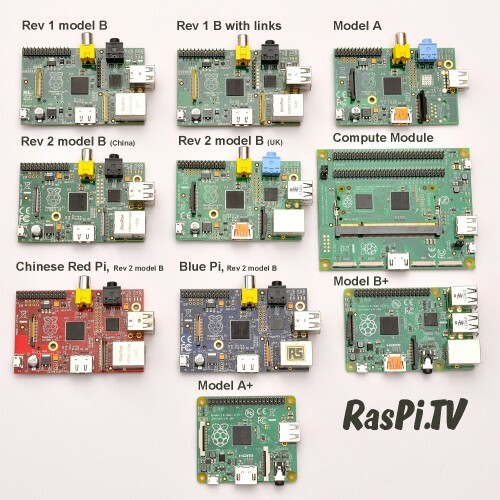 Liz: Today’s guest post comes from Alex Eames, who runs the rather wonderful RasPi.TV. He’s been furtling through his drawers, and has discovered he owns a surprising number of Raspberry Pi variants. Thanks Alex! Yes, a nice collection, but in the photo your “Rev 2 mode B (China)” reads “Made in the UK” on the board. ? Obviously, that should be “Rev 2 model B (China)”; sorry for my furiously fast fingers. Well, yes, I read the picture (and the text). The photo shows in Row 2, Column 1, a Pi under the heading “Rev 2 model B (China)” which has “Made in the UK” printed on the circuit board. 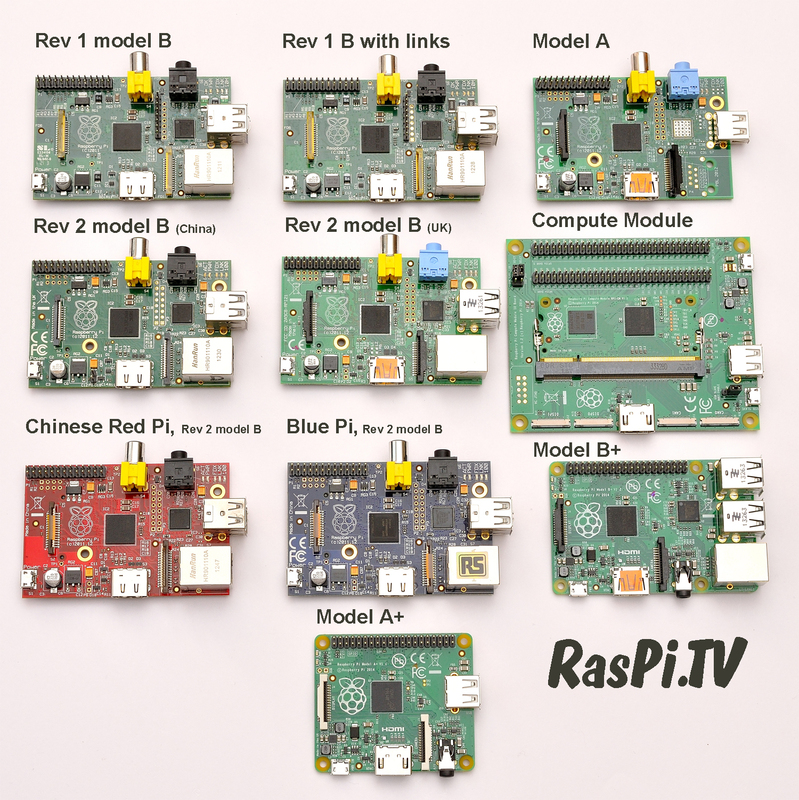 So, is this a mistake, or was the Pi assembled in China from a UK-manufactured board, and when you removed the “Made in China” sticker the “Made in the UK” was revealed? Doesn’t really matter; I wish I had such a collection, and the time/skill/energy to put them all to use. AIUI they forgot to remove “made in the UK” from the gerbers when making the chinese revision 2 boards so they had to cover it up with a sticker. Am I right – is row 2 col. 1 actually rev 2.1? Wow so many variants! I don’t have them all but I do have the Red Chinese B+ which is not in that list. I think you should have powered each one up and published your serial numbers. Does the blue one #0041 have a serial number that includes that string of digits? Seeing the revision-code (as reported in /proc/cpuinfo) for each of the Pis would be interesting (but I can appreciate that with so many Pis this would take a long time to do). I have a collection like this too, but I failed to get a blue so sort of gave up. I do have one from the original 10,000 batch though, and that one is my treasure. Is there a quick way of seeing what you’ve got? is it printed on the baord? is there a command? There’s serial number & revision in there. Just curious, what does “with links” mean? USB output polyfuses were replaced with zero-ohm resistor “links”. Now also a ‘B’rev. 2- Welsh variety. Thanks for the nice collection!